First things first: buddy taping is not going to make much difference to how well a finger injury heals overall. 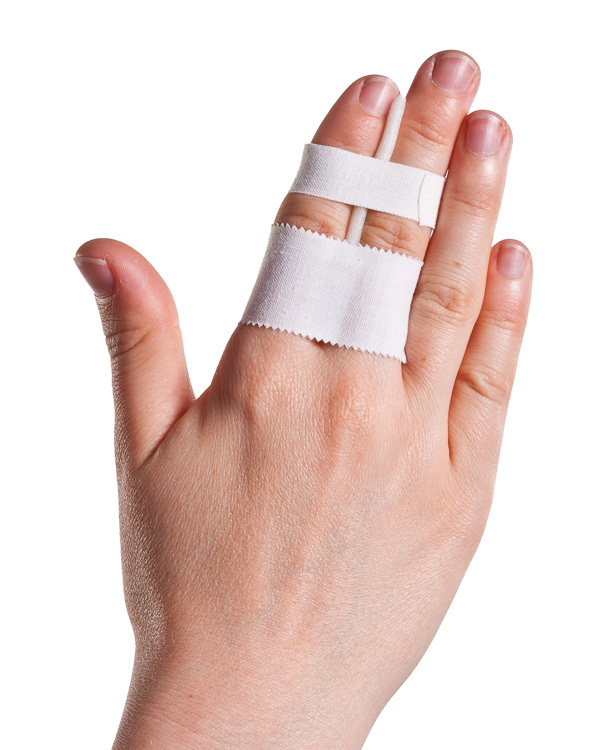 It’s a temporary, protective measure to keep an injured finger out of the way and allow you to maintain a decent grip. Basically, it’s just a quick fix so that you can play on. That said, you can leave the tape in place for the first few days following an injury if you find it helps. Step 1: Put some padding between the two fingers. In this picture we’ve use a piece of folded-over foam underwrap. The padding is to prevent rubbing and any breakdown of the skin. 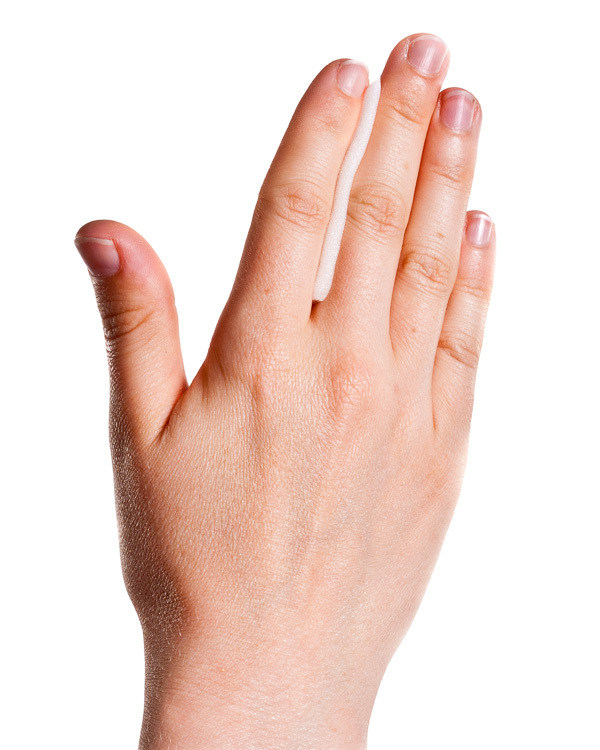 Ideally, the padding should extend almost the full length of the shorter finger – from the web all up to the tip. You can get away without any padding if you’re only leaving the tape on for the duration of a match. Step 2: Circle the fingers with tape between the knuckle and the first joint. You need to use a tape narrow enough to fit between the two joints without taping over them. In our example, 2.5cm tape was a good fit. Use only sufficient tension to hold the fingers together without any sloppiness. Avoid binding the tape on tightly because a) it will hurt unnecessarily and b) the tape will ‘cut in’ if the injury swells. Step 3: Circle the fingers with tape between the first joint and the final joint. In our example, we used 1.25cm tape to avoid taping over the joints. Again, the tape needs to be only just tight enough. Step 4: That’s it. You should still be able to bend the taped fingers and have functional use of the hand. 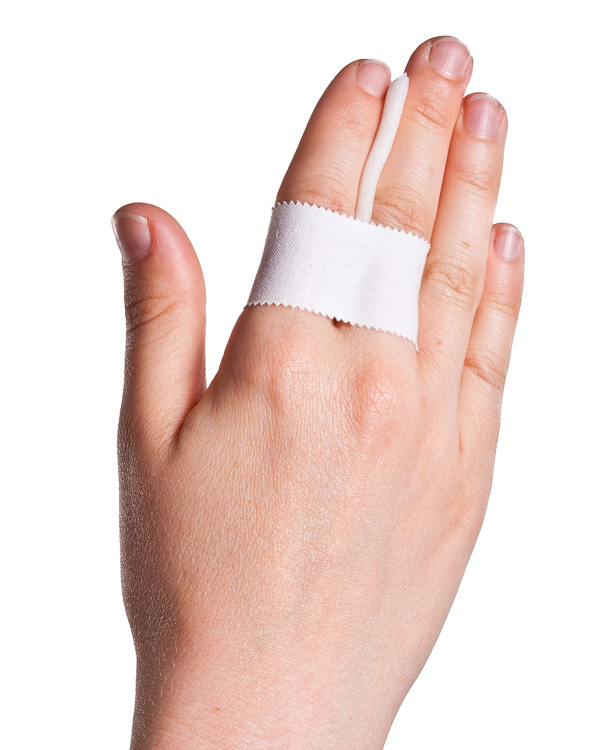 Release and re-do the taping more lightly if the finger swells up or if you notice any constriction or discolouration. what is the use of buddy taping? Well, like the article says buddy taping is intended to temporarily support an injured finger.